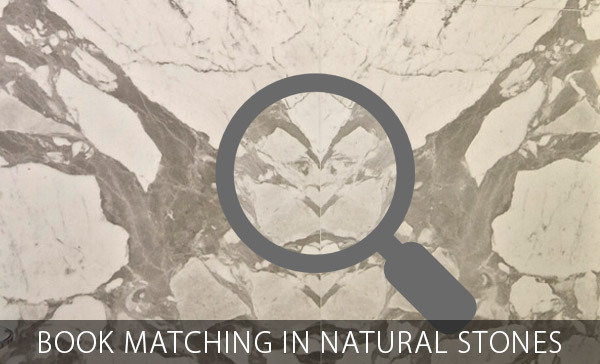 Know how all natural stone slabs are book-matched? Book-matching can be regarded as one of the most commonly used terms or techniques in the natural stone industry. Especially in the marble and granite manufacturing factories, this technique is heavily employed to highlight the beauty of natural stones. People dealing with natural stones on a daily basis are presumably well aware of the technique of book-matching. All natural stone buyers are even aware of this technique; probably out of interest. But, that is not the case with every other customer. There are a few, who might have no idea of book-matching or only heard about the term with no clue of exactly what it is all about! Keep reading to learn about this amazing technique and its significance in the natural stone industry. All natural stone materials are liable for being construction purposes. Basically, it is the art of matching two or more wood or stone (our case) surfaces in a way that the two adjacent surfaces mirror each other. Granite and marble are initially cut into large blocks from their respective quarries. These blocks are further sliced to produce slabs of similar sizes and thicknesses. Usually, the same side of the sliced slabs are polished, but for book-matching, opposite sides of the slab are polished. The very first slab in a block is polished on one side, while the adjoining slab is polished on the back side. Once book matched and joined end-to-end, the pattern continues to flow from one slab to the next without any break. In the case of two adjacent slabs, book-matching usually gives the impression of an open book to onlookers. This pattern generally appears like open wings of a butterfly in two book-matched slabs; hence sometimes referred to as “butterflied” slabs. Book-matched slabs are capable enough to boost the aesthetics of any décor, whether interior or exterior. Another advantage of this technique is that it works well both in contemporary and traditional settings. To get the complete effect of book-matching, it is suggested that the slabs in use should be installed in large spaces. Several examples of installations that are best suited for book-matched slabs are kitchen islands, slab showers, full-height backsplashes and featured walls. This technique is pretty time consuming and requires special skills. Moreover, it is only possible with only a few variants of marble or granite. For book-matching, the natural stone must be of finest quality with clearly defined patterns of waves, streaks, swirls or veins. Since, this technique has layout restriction, it eventually becomes more expensive as a lot of marble and granite wastage occurs during this process. If natural stones fascinate you and budget is not at all a constraint for you, then you must go for this technique to enhance the decor of your commercial and residential projects. Undoubtedly, this technique allows dimension stones to optimally reflect the beauty of naturally occurring patterns on their surfaces; thereby allowing you to take the maximum advantage of natural stone installations at your property.